The TB Saracen Global Income & Growth fund purchased JP Morgan Chase at $57.52 in February 2016. It was a time of heightened equity market concern concentrated on the possibility of sliding into economic depression and the possibility of further bank bail-outs. In short, with this negative sentiment reflected in valuations, it was a great time to invest! Banks were still being described as ‘un-investable’ or ‘impossible to analyse’. We agreed that banks were difficult to analyse, but not impossible! 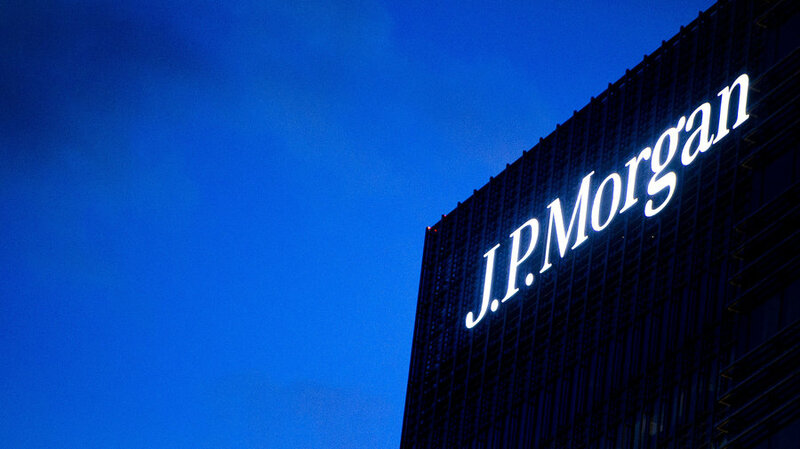 We had watched JPM for some time and regarded it as one of the best placed global investment banks, with a strong US consumer business and with surplus capital above their regulatory requirements. Based on our forecasts, if the shares were not cheap in February 2016, then we felt they would never be seen as attractive. Our favourite investment scenario is when we are able to identify a global leading business and are able to acquire the shares at a fair price. We purchased the shares on a forecast yield of around 3.3% and at a small premium to tangible book value. As you can see from the above graph, the shares have performed well! JPM is presently trading at more than twice tangible book value and the prospective dividend yield is now below 2%. We typically expect to own shares in a business for much longer than this. 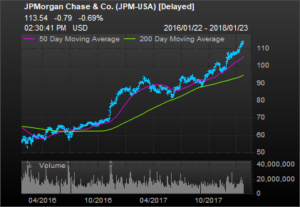 JP Morgan remains a good business, the US economy is still robust and management will deploy surplus capital into customer lending, dividends and share buy-back. Nevertheless, at $112.8, we felt that this optimism was now reflected in the share price and we can find better value elsewhere in the sector. 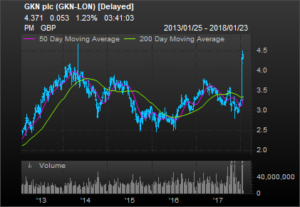 We initiated a position in GKN in January 2013 for 247p. The investment case was straightforward: GKN operates in the global aerospace and automotive markets: Driveline (45% of profit) is a global leader in driveshafts, AWD and eDrives. Aerospace (40% of profit) has a 75/25% commercial and military split, with number 2-3 positions in aero-structures, engine systems and electrical wiring. Powder Metallurgy (15% of profit) is 80% automotive, selling both components and powders, where they occupy global number 1 or 2 positions. In recent years GKN has exited most of its Land Systems businesses and expanded aerospace via merger and acquisitions, buying both the Volvo and Fokker businesses. GKN was never a clean-cut investment proposition. Investor returns were hampered by a large pension deficit that absorbed free-cash flow and persistently high capex requirements, leading to margins consistently below the targeted 10% level. This was also exacerbated by two major problems that emerged towards the close of 2017, namely: – the CEO designate did not take up the position. He was scheduled to move from managing the Aerospace Division, but resigned along with the CFO as a result of the emergence of stock write-offs and warranty provisions. These factors dented profits and the share price declined. We were left with an investment that increasingly had all of the looks of a value-trap with poor earnings momentum. Nevertheless, after a full review of our research, we decided that the shares still did not reflect the underlying business prospects and management would now be forced to consider all options to realise value. In these circumstances, an investor frequently has to be patient. Fortunately, this was not tested on this occasion and the approach by highly-regarded Melrose, pushed the share price sharply higher. However, with the yield on the shares now around 2% and with a largely equity offer, we decided to sell at 440p.